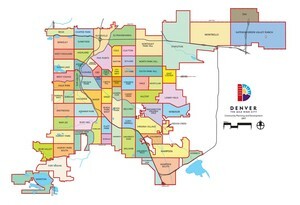 Being a part of the Denver-Aurora Metropolitan Area, Englewood is well known for attractive business opportunities and beautiful homes and residences. With the location of Englewood being just south of the main center of Denver, the residents of Englewood enjoy the amenities of the metropolitan area while still maintaining a laid-back and relaxing small town atmosphere. The relatively small population of Englewood, a population of 30,255 people as per last official census, adds to the small town ambience. While Englewood is best known for manufacturing and industrial fields, it still remains a warm-hearted community with peaceful residences. The discovery of gold in the area prompted Americans from across the country to settle in Englewood back in the late 1800s. The city itself came into incorporation around 1903 and held onto a relatively small population for several years. Moderate temperatures and the beautiful scenery of Englewood brought more people later on. Englewood has long since been a water source for the rest of Denver, due to the procurement of water rights decades ago and the establishment of the McLellan Reservoir. In 1958, the city set up the Englewood City Charter, and a majority of the town seen today was built by 1960. Englewood is home to some of the finest parks in the area, with 12 parks and numerous sports fields to relax in and play on. Cycling is a popular recreational activity in Englewood, and there are many places, which are designed specifically for such purposes. The Broken Tee Golf Course in Englewood is an award winning, 18-hole course for golf and leisure; perfectly manicured for the perfect swing. Englewood is also home to the city owned Pirates Cove Aquatic Center with a 6-lane pool and amazing water slides for the whole family to enjoy. The Malley Senior Recreation Center is also an excellent place for senior citizens to exercise, participate in wellness programs, and to have fun doing it too.